Craving more than “small talk” on a regular basis? Come and actively engage in stimulating conversation centered around important cultural topics, over a cup of tea. CIC Boston is excited to invite you to a monthly reoccurring event called TeaTalk. here at 50 Milk. It is an open tea and conversation event designed at fostering a diverse community. 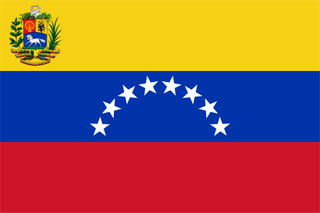 This talk features is centered around the Latin American country of Venezuela, outside the mainstream media headlines. Come engage in conversation with Juan Perfetti, a Venezuelan native, as he gives you a taste of Venezuelan culture. Juan Perfetti is the Founder and CEO of the Comunicas Foundation, a neighborhood-focused nonprofit news organization with operations in Venezuela and Massachusetts. Juan is a self-taught journalist and web developer with more than 10 years of experience. When he was 19 years old he started his first software development company, at 20 he founded a web agency, and at 22 he started the Comunicas Foundation in the neighborhood where he grew up in Caracas, the capitol of Venezuela, to create a neighborhood communicational frame that empowers the people from the ground level. 9 years later, Comunicas has news outlets in more than 50 neighborhoods of the Metro area of Caracas and two in Massachusetts, in the town of Shrewsbury and in the neighborhood of Dorchester. For more details and registration, visit the Eventbrite.